Non toxic E.V.A foam filling to absorb shock, and cushion impact. Polyester/Cotton Cover. Hand wash, or gentle machine wash. Dry in shade. 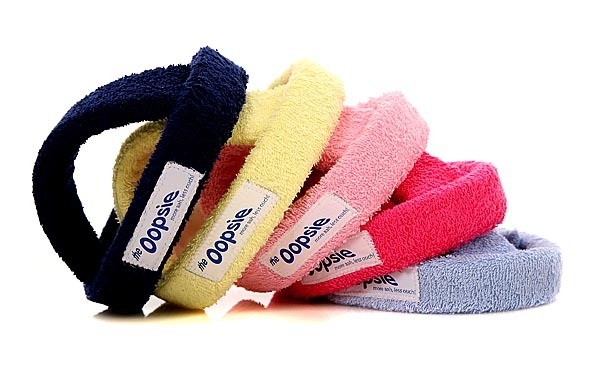 The Oopsie headguard has been designed as a safety aid, to help protect babies who are crawling & learning to walk. It is not guaranteed to prevent injury.